Witness the power and majesty of the ocean and its tides at Devil's Tears. The natural landmark gains its name from the ocean spray thrown out from a cave in the cliff face as each wave hits. An attractive place for couples and families, this coastal feature remains largely unknown among tourists, so it offers unspoiled views and a relaxing atmosphere. Find your spot on the rocks at this dynamic stretch of coastline, but be careful where you put your feet--some rocks are jagged. Also, don't underestimate the strength of the waves here--they can be very strong. 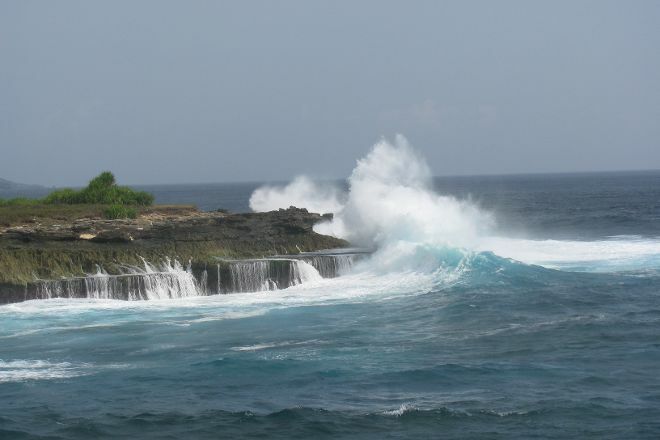 Choose to start, finish, or center your holiday on a trip to Devil's Tears by using our Nusa Lembongan tour itinerary planner . Very beautiful place. So powerful to see the waves beating against the rocks. Can highly recommend this excursion. 2-minute walk from Dream Beach. Come here if you want to enjoy the force of nature- the waves. Thoroughly enjoyed the waves and the resultant mist. Watch out for the rainbows! Amazing spot to watch the sunset as well. Make sure to bring sunscreen. Explore the area for more sites! 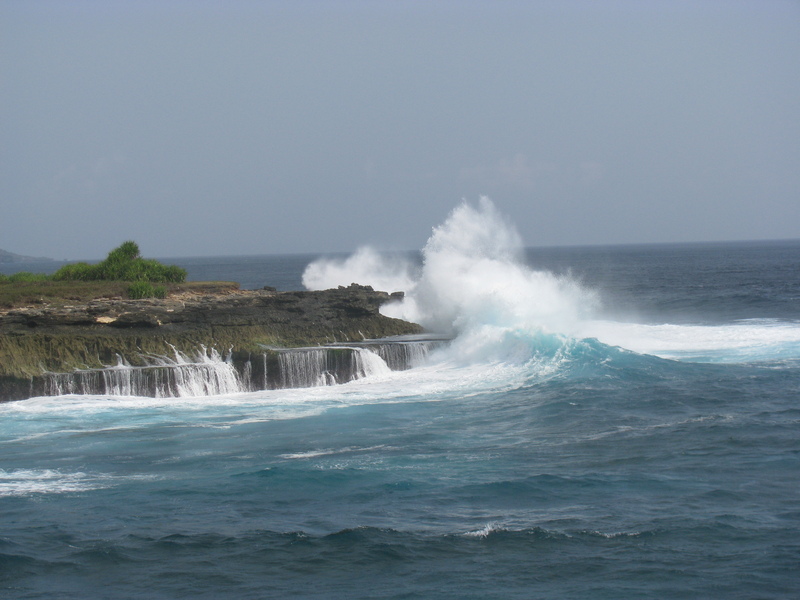 Come here on high tide and you will see the amazing waves crashing on the rocks. Be prepared that in the afternoon it could be very hot. And also it's better to walk around with shoes than sandals. But also prepare that you might get wet. This place is known as devil’s tears due to the effect made by the water that splashed through the corals rocks. It makes a dramatic effect. To snap the best photo all you need is PATIENCE! Waiting for the right timing for a perfect shot. Don’t come too late, it would be packed with tourists. Incredible place where you see massive waves hit the cliffs and spray out water and create rainbows. Super blue water. There is a natural infinity pool by the cliffs edge where water crashes. Be careful going down there if you are brave/stupid enough. The occasional wave can be extremely large and catch you out and the rocks are very sharp. Every day, we help thousands of travelers plan great vacations. Here are some tips on how to use your Listing Page to attract more travelers to your business - Devil's Tears. Promote your permanent link - https://www.inspirock.com/indonesia/nusa-lembongan/devils-tears-a7138355265 - on your website, your blog, and social media. When a traveler builds a plan from this page, the itinerary automatically includes Devil's Tears. This is a great way for travelers looking for a great vacation in your city or country to also experience Devil's Tears. Promoting your link also lets your audience know that you are featured on a rapidly growing travel site. In addition, the more this page is used, the more we will promote Devil's Tears to other Inspirock users. For best results, use the customized Trip Planning Widget for Devil's Tears on your website. It has all the advantages mentioned above, plus users to your site can conveniently access it directly on your site. Visitors to your site will appreciate you offering them help with planning their vacation. Setting this up takes just a few minutes - Click here for instructions.